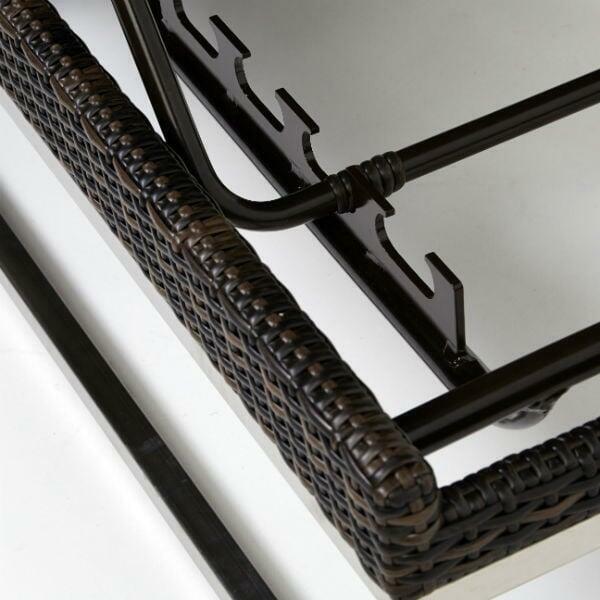 Place your furniture poolside, in the patio or in the office. This type of seating offers the ability to recline to relax, read a book or enhance your suntan. Notice how the it showcases a truly contemporary design and metal outline, yet is accented with old-fashioned dark wicker! 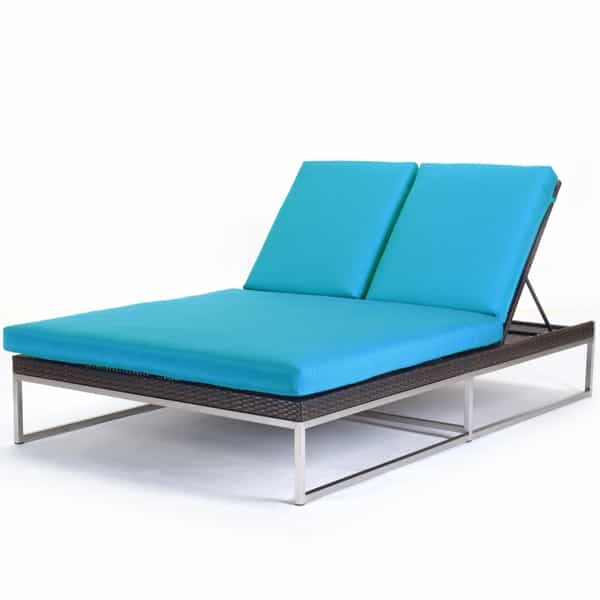 You'll find this chaise lounger is comfortable, yet built to last with durable materials such as polished stainless steel. 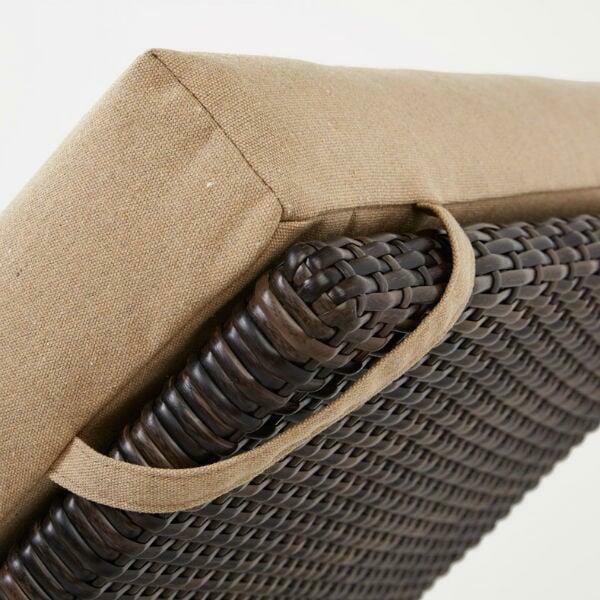 This style offers several Sunbrella cushion colors, such as latte, pearl, walnut, brick, parrot and others, so we guarantee you'll find the perfect colors to fit your home decor! 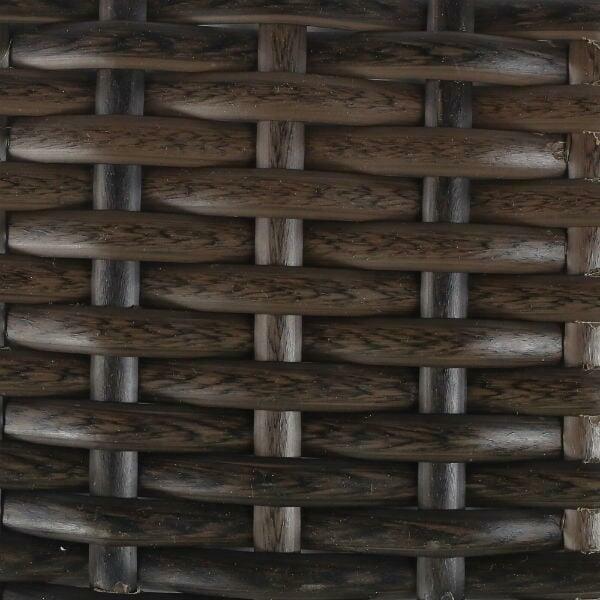 W 28" x D 84" Seat Height 13"
W 54" x D 84" Seat Height 13"